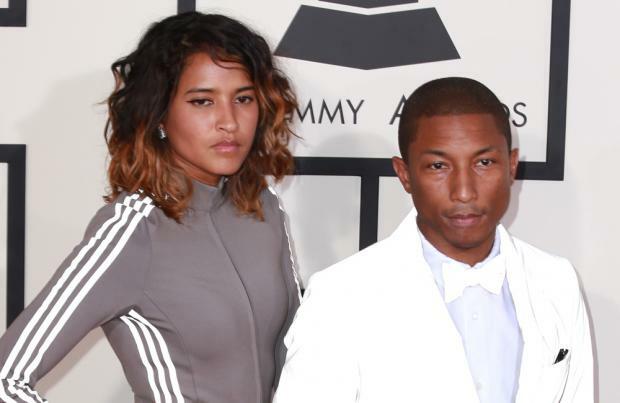 Pharrell Williams is to release four children's books. The 'Gust of Wind' singer has inked a deal with Putnam Books for Young Readers which will see the 41-year-old musician pen four picture books, with the first title being based on his chart-topping 2013 single, 'Happy'. Announcing the deal, the publishing house revealed an initial run of 250,000 copies of 'Happy' will be made available from September 22 and will feature numerous photographs of children around the world "celebrating what it means to be happy." The music mogul - who released his second solo studio album 'G I R L' last year - originally wrote the song for the soundtrack of 'Despicable Me 2', and has won two Grammy Awards for the track. The acclaimed musician - who has six-year-old son Rocket with his wife Helen Lasichanh - has had other forays out of the music industry in the past, having designed a series of clothing lines and founded multi-media creative collective and record label i am OTHER. In June, the 'Blurred Lines' producer became involved in the literary world when he contributed to a book titled 'We Are Friends With You' which also featured contributions between Alejandro Jodorowsky and Peter Doroshenko. The highly successful producer and collaborator strikes out on his own, blending hip hop, R&B and pop sounds. Never mind publishers and literary critics, what are the readers' favourites?